Down, but not out, best describes gold’s price action on Friday. Having sold off to a low at 1260.00, gold staged a remarkable 18 dollar comeback to close at 1278.00 as news emerged that North Korea may be about to test a new missile capable of reaching the United States. The rally has continued this morning with gold moving to 1284.50 as China returns from holiday. Iranian sabre rattling, Trump remarks on North Korea and further details of the proposed missile test have injected a geopolitical risk premium back into the yellow metal. Admittedly gold was approaching a technically oversold condition in the short term anyway. The key now will be if the rally can maintain its longevity once the dust settles and in the face of higher U.S. yields and a stronger U.S. dollar. 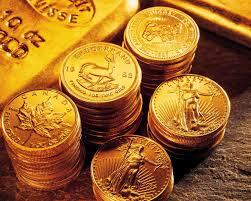 From present levels, gold has resistance at 1291.00 and 1296.00. On the downside, the 100-day moving average at 1273.501 should provide initial; support ahead of Friday’s lows at 1260.00. We expect that gold will trade with a bid tone in Asia today but will be vulnerable to headline created movements ahead of this weeks data highlight, the U.S. FOMC minutes..